Of late, with the changing trends, people are more inclined towards believing that small is more powerful. With social media, a couple of crisp sentences can make the difference, against the huge blocks of content which the readers tend to scan through. The idea is to bring brand awareness, brand promotion, build customer loyalty, and improve conversions. All this can be achieved seamlessly by implementing the right social media optimization (SMO) techniques. At VRS Technologies, we provide most happening social media optimization services for businesses who aim to enhance their online presence. Why is Social Media Optimization important for your business? Brand Building and brand promotion which gives your business an edge over your competitors. Reaching out to the target audience. A platform to communicate with them and seek feedback on latest product launches. Improves search engine ranking of your website subsequently. What services do we provide at VRS Technologies as a part of SMO? Setting up your profile on social media platforms like Facebook, Twitter, Google Plus, Instagram, Linkedin etc. With years of expertise and social media presence, we can help you build communities with your peers which in turn can help in traffic generation. We constantly keep updating the social media sites with the latest, optimized information in a creative way to keep the customers hooked to the sites. We strive to improve your social media presence by incorporating strategies for viral advertising of product launches, blogs, videos, etc. We promote your website and business on social media through paid and free form of advertising. We include techniques like social profile listing, social bookmarking, and social event marketing for your brand promotion across social media platforms. Why to choose VRS Technologies for Social Media Optimization Services in Dubai? The most obvious answer to this is our genuine concern to build your social media presence online. 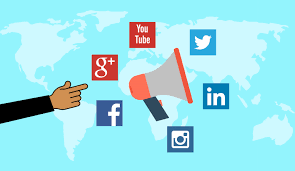 When a client approaches us for SMO services, we will have an effective plan chalked out well in advance for implementing the best strategies to create a buzz in the social media about your business, products, and services.